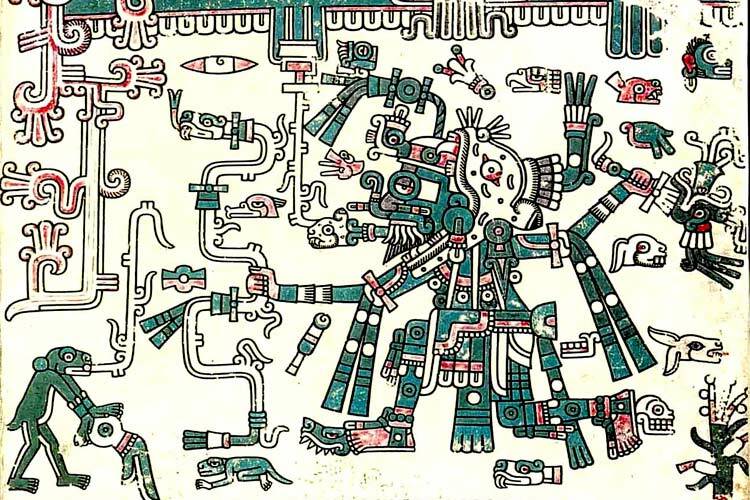 One of the most important artistic styles, which is part of the art of pre-Columbian culture. 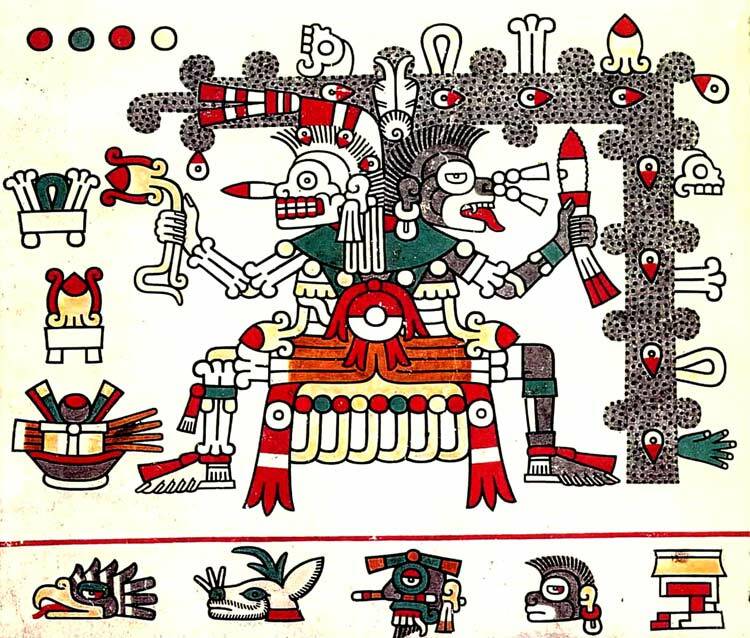 In the pictorial style of the Aztecs is the creation of the characters (mostly Gods) and impressive symbolic creativity. The line draws the characters in the image. The representation of the forms is simplified by the drawing technique of precise linear contours. This allows increasing the number of figures and decorative elements that constitute the figure. 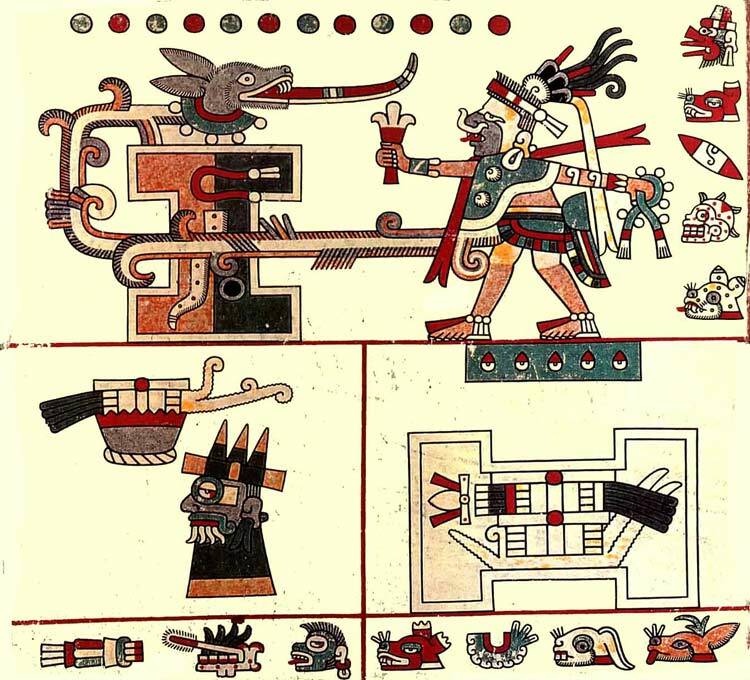 The drawing is presented in a plane. No depth, no gradations or atmosphere. This gives a level of abstraction where the form take some independence and expressiveness. This art is aggressive and expressiveness thematically but technically innocent, because there are not visual trickery towards greater representation of reality. The shapes are round and fit together. This choice produces a special type of configuration creates a balanced and concentrated in the figures. 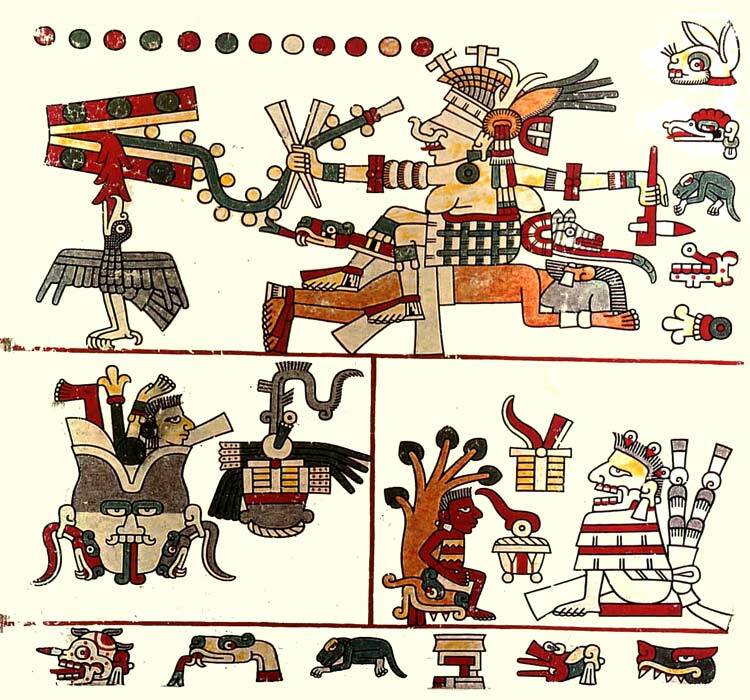 Saturation decorative characters, fully loaded with battle costumes and accessories superstitious. The color is used to fill shapes drawn but is powerful and brings passion to the figures. The contrast is seeking to increase the significance of what is represented. 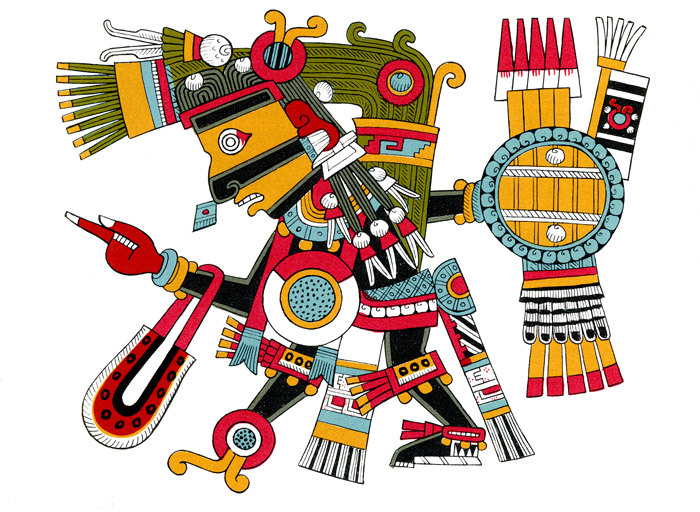 The Aztec style is generated from a series of very strong ideologies and some simple techniques, few techniques of representation of reality (volume, degradation or light) but compositions and creations of complex shapes.